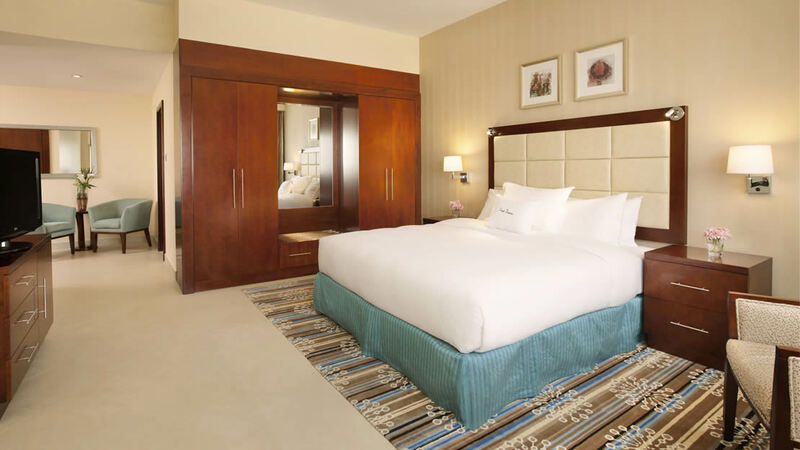 Enjoying a prime position close to shops, restaurants and attractions, DoubleTree by Hilton Ras Al Khaimah is an ideal choice for exploring one of the Middle East’s lesser-known resorts. 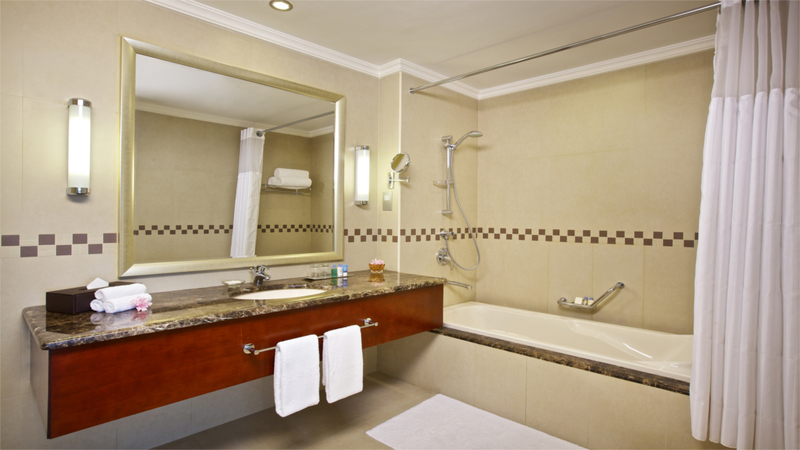 Exceptional facilities include a fitness centre, spa and excellent business and dining options. There’s also a handy shuttle service to transport you to the pristine beach and water sports centre at the sister property, Double Tree Hilton Marjan Island. Here, youngsters can take advantage of the fantastic kids’ club, while parents sit back and relax in the sun. Back at the hotel, the rooftop bar is the perfect place for a romantic sunset cocktail before retreating to a luxuriously spacious room or suite. Whatever you’re looking for in your holiday to Ras al Khaimah, you’re sure to enjoy an unforgettable Arabian experience with DoubleTree by Hilton. Beach lovers are best to hop on the shuttle bus to the hotel’s sister property of Marjan Island, where you’ll find pristine white sands and a fantastic water sports centre. 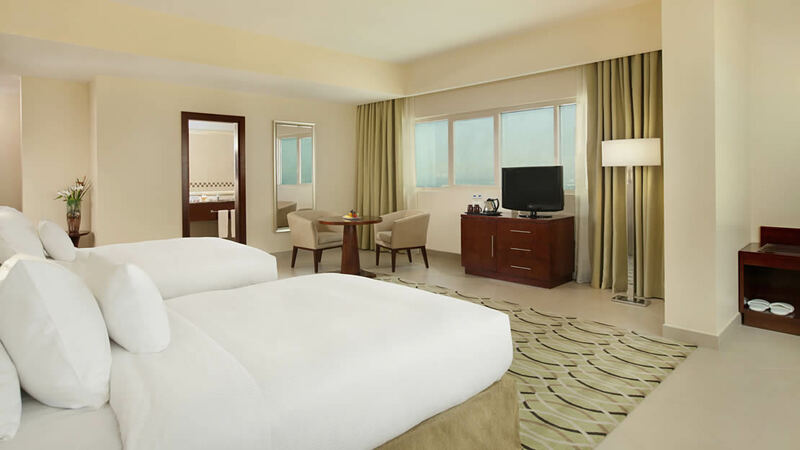 The DoubleTree by Hilton Ras Al Khaimah is a short walk from numerous shops, cafes and restaurants. Ice Land Water Park and the Tower Links Golf Club are both a short drive away. 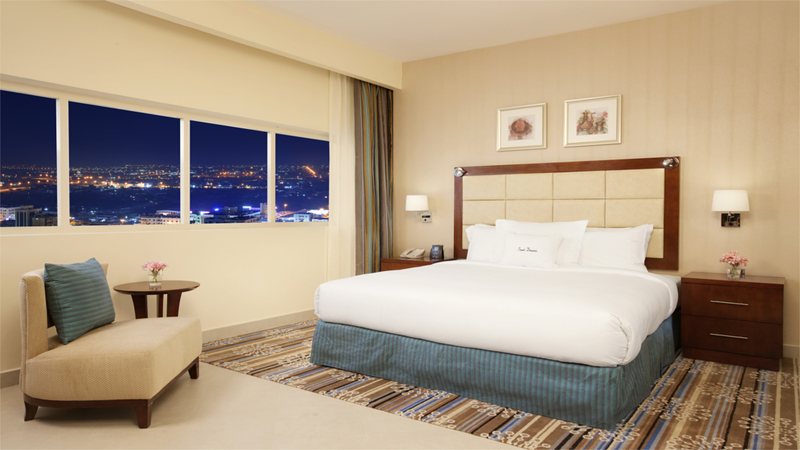 Ras Al Khaimah International Airport is approximately 22km away from the DoubleTree by Hilton Ras Al Khaimah. If you choose to go all inclusive at DoubleTree Hilton Ras Al Khaimah, the package generally consists of breakfast, lunch and dinner. Drinks are available from the bar throughout the day and during meals, including beer, wine, water and soft drinks. Locally produced alcoholic and non-alcoholic branded drinks are usually served from 11am to 10pm.